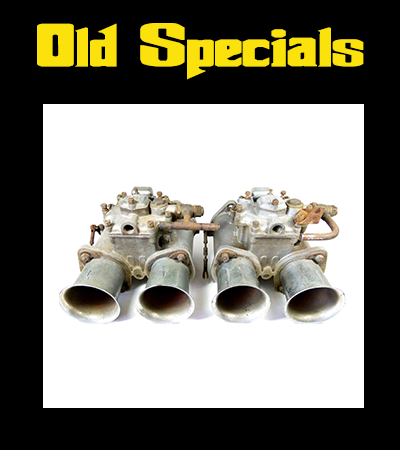 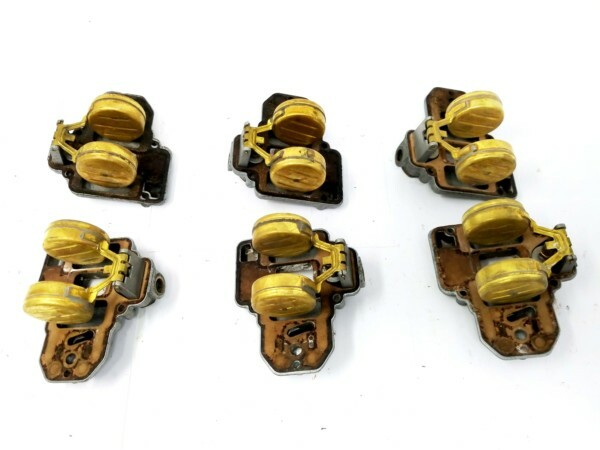 Please Note: These carburettors are in ‘used’ condition – They are NOT New! 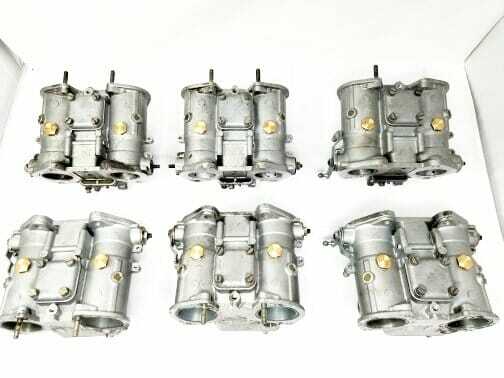 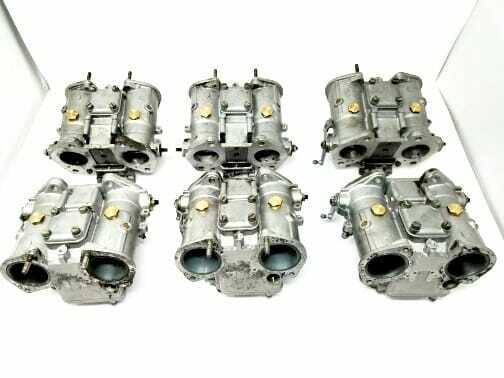 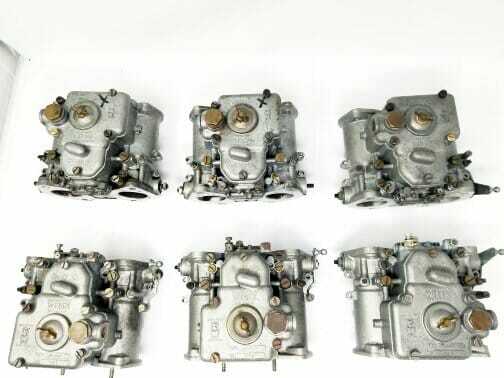 Original, Italian made, matching set WEBER 38 DCOE 59-60 Carburettors. 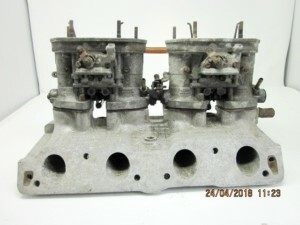 Original equipment for Ferrari 365 GTC/4 V12 Engine. 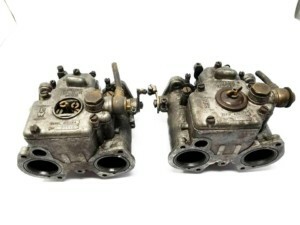 They are in poor condition.. 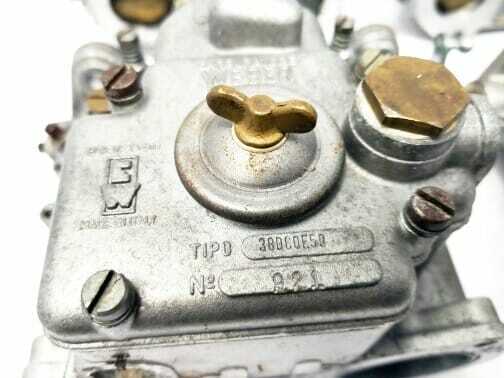 Someone – at some point – added custom vacuum take-off points under each carburettor barrel. 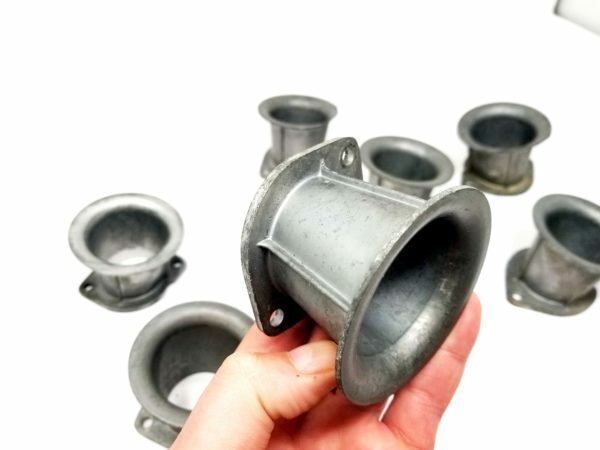 He obviously realised that that was probably not the best idea, and left the job after he drilled and tapped the holes. 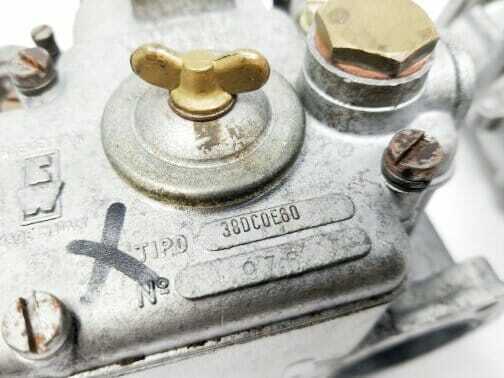 So now, the brass plugs/screw-caps are in place, but the choke venturi are wrecked and will need replacing. 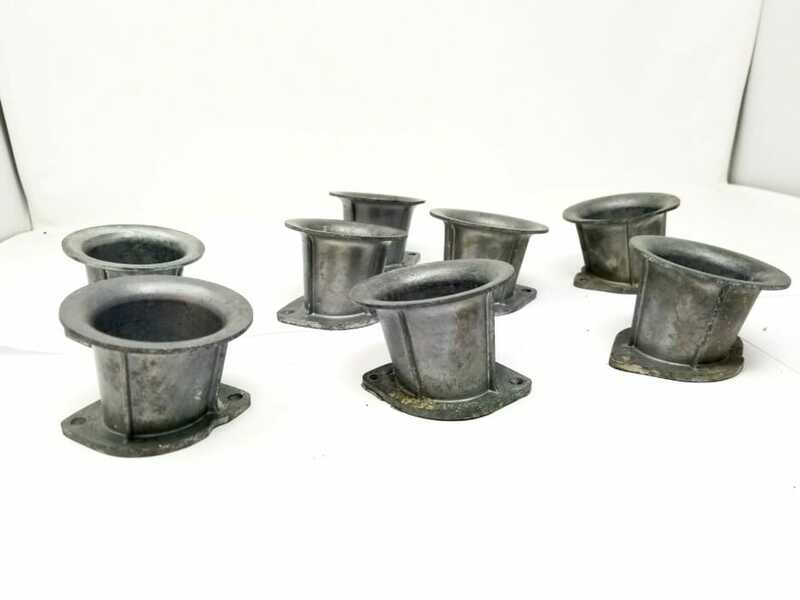 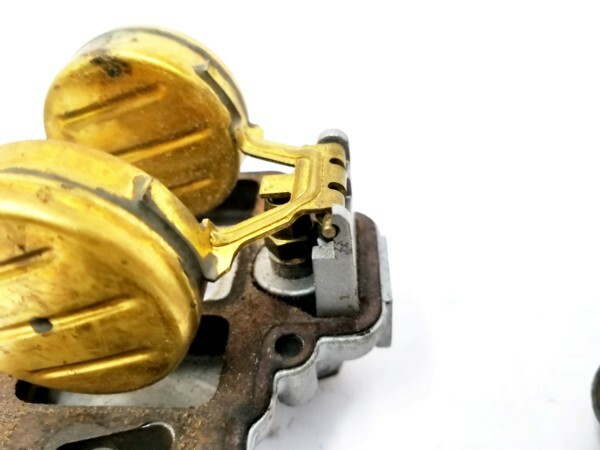 Also the brass plugs protrude well inside the carburettor barrel, and will need machining down flush with the rest of the carburettor’s inlet tract surface. 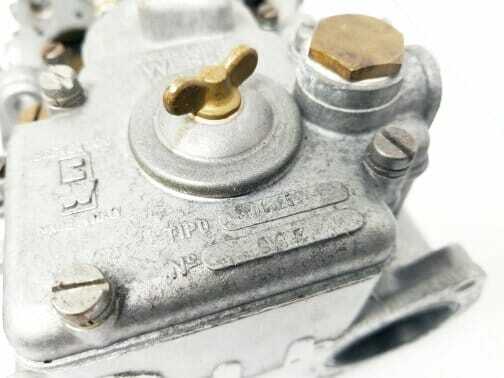 2x Left-hand throttle levers are missing. 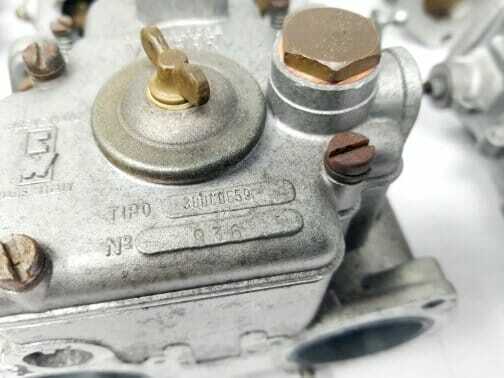 1x cold-start/choke mechanism has has one of it’s ‘stop’ lugs snap-off. 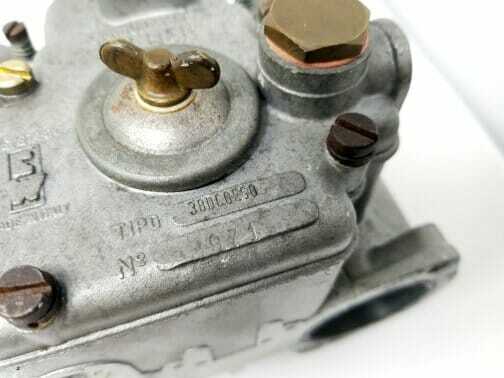 It is still operational however. 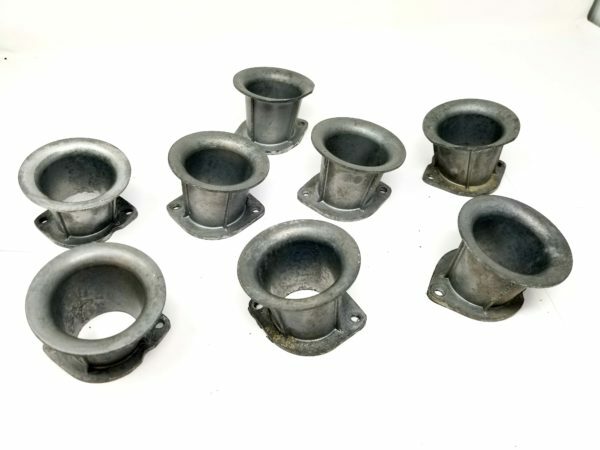 3x trumpet mounting studs are missing. 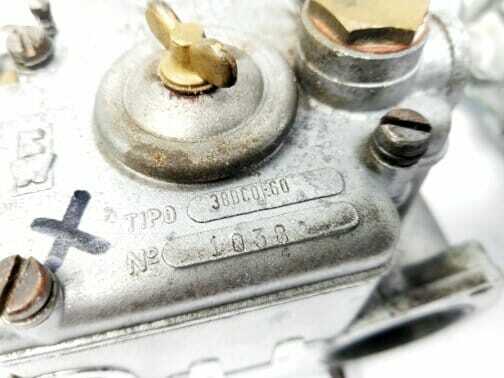 2x fuel flot pin towers are damaged. 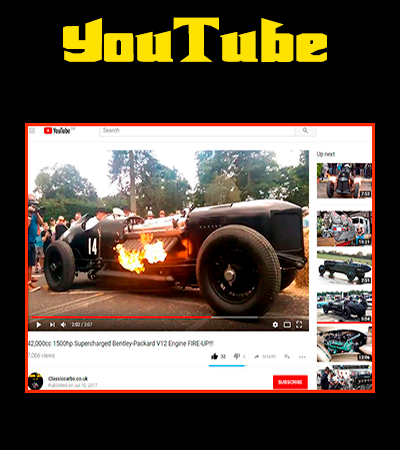 Usual place. 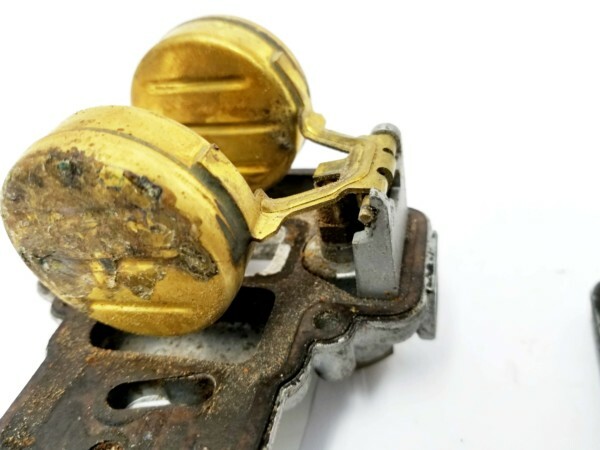 Part of the supporting alloy tower has cracked off. 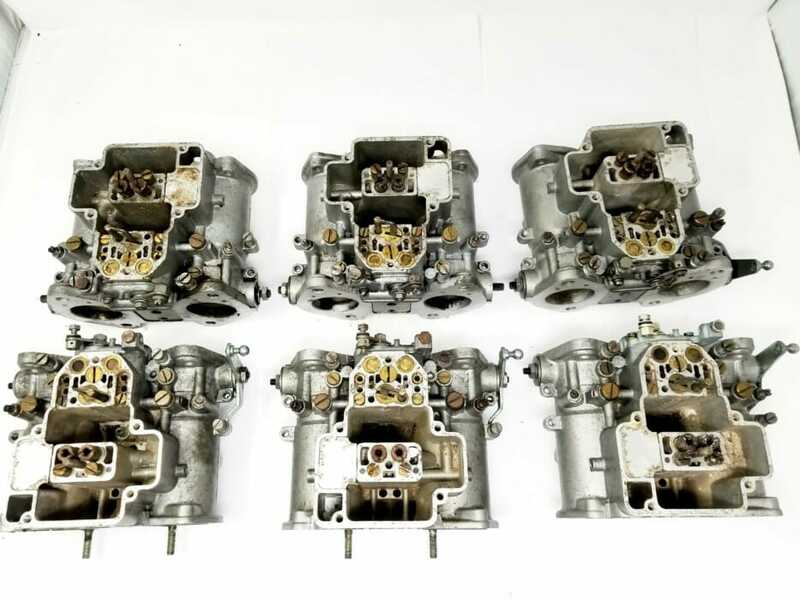 The carburettors have internal corrosion, and will probably have some blogged circuits that will require un-blocking. 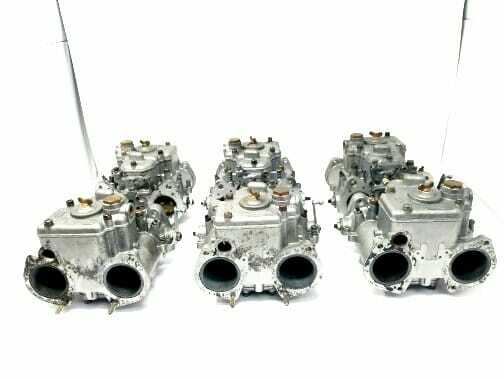 I might also have some original trumpets to go with these (Not a complete set) Just ask me for these if you want them included. 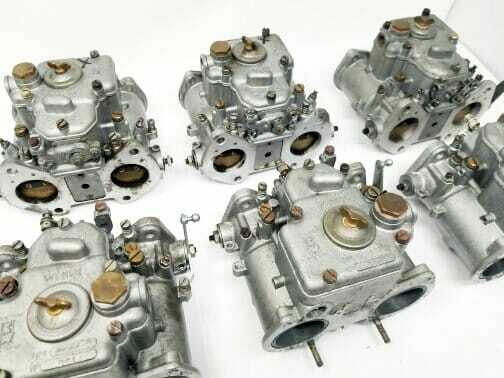 Nothing is seized. 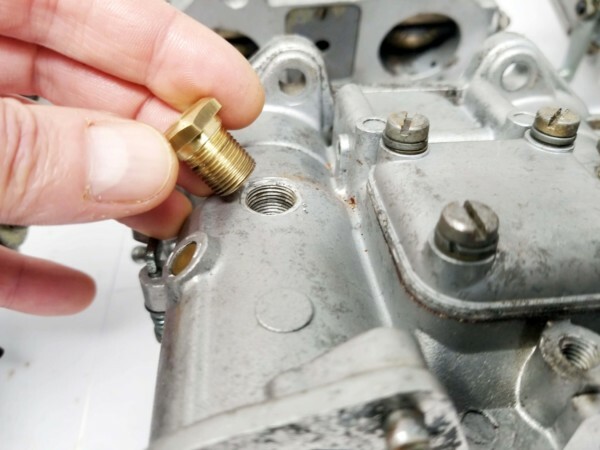 All throttle shafts and cold start mechanisms operate as they should. 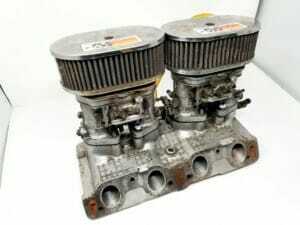 They are a matching, original Ferrari 365 GTC/4 set. 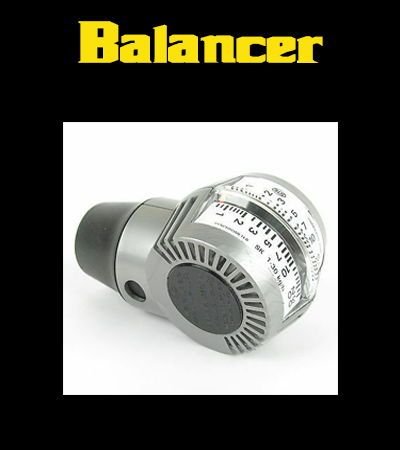 They are fully loaded with all calibrated parts. 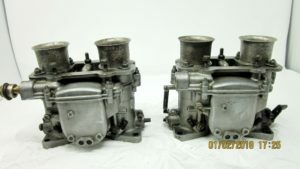 Not many of these about – They are about 50 years old!! 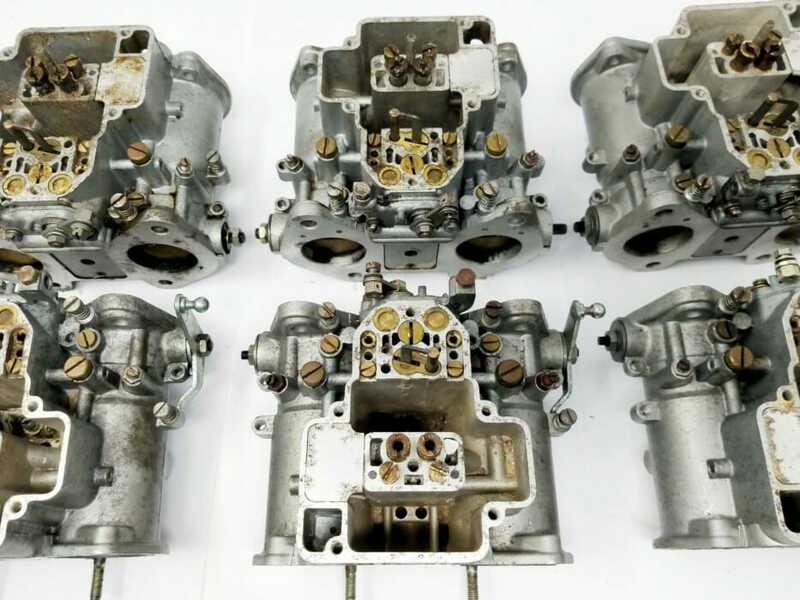 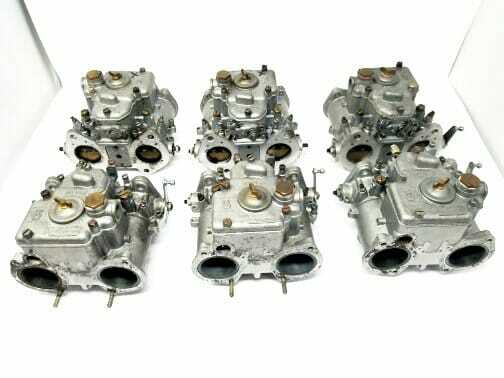 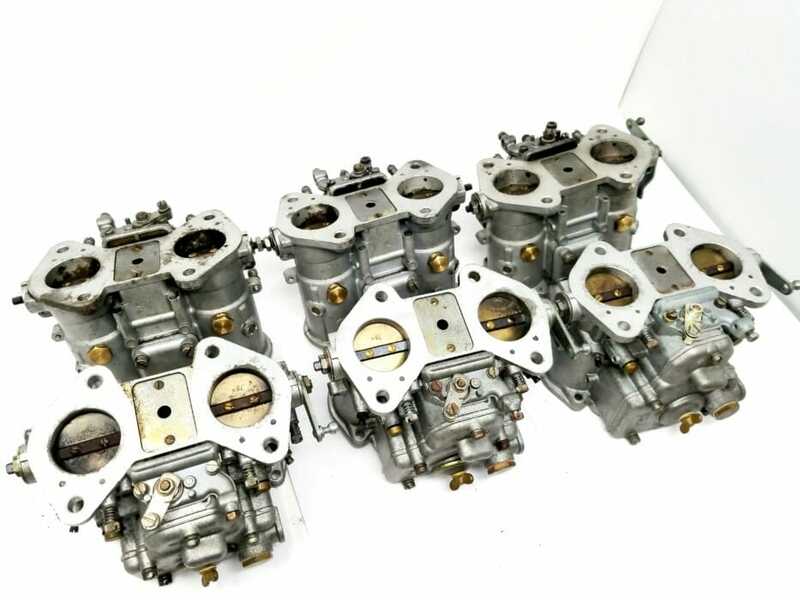 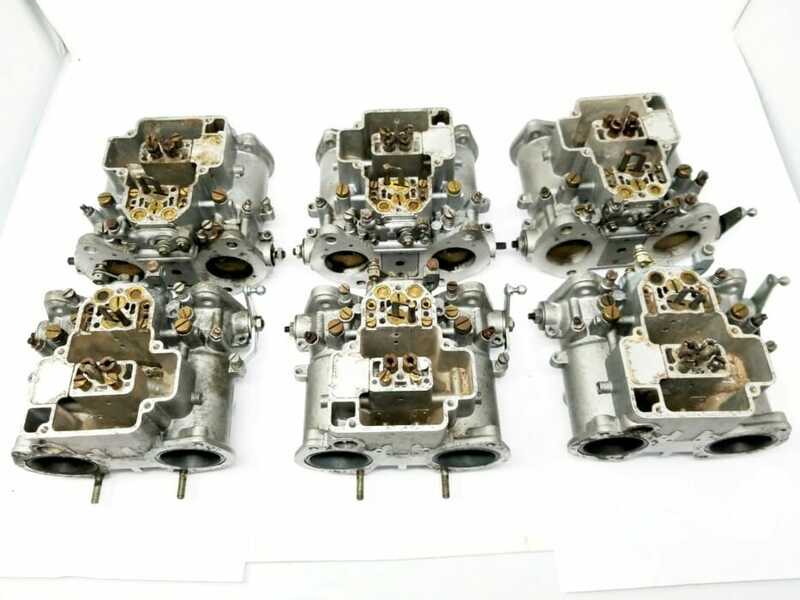 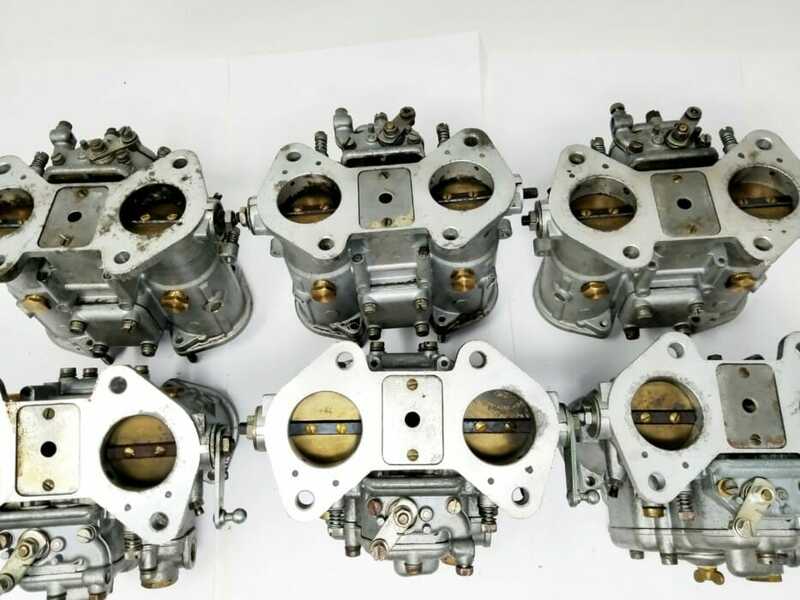 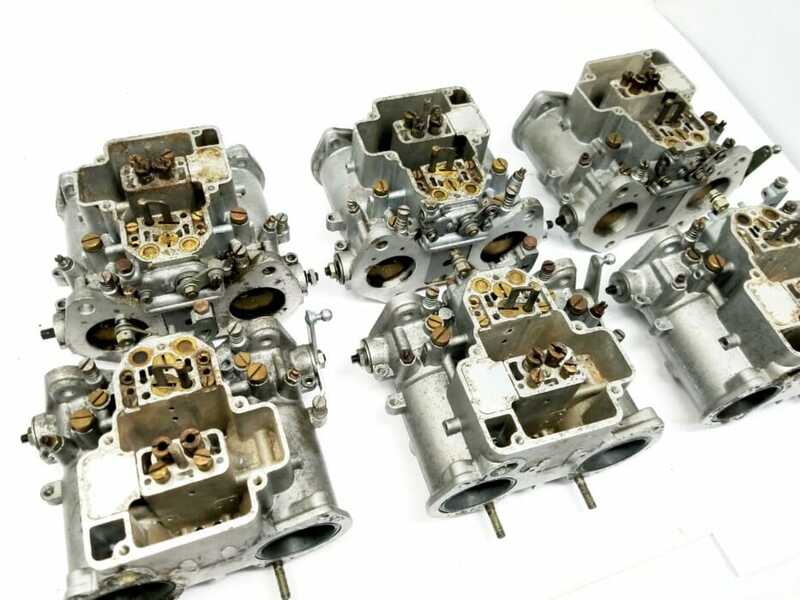 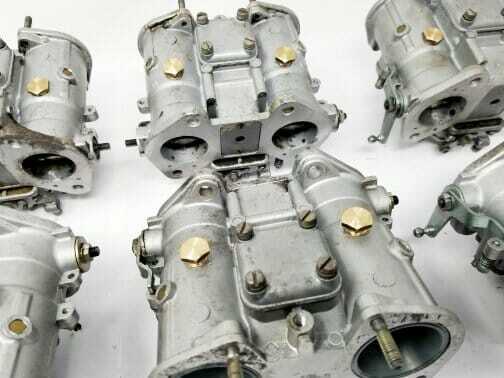 So, these carburettors – as shown in these photos – are for sale. 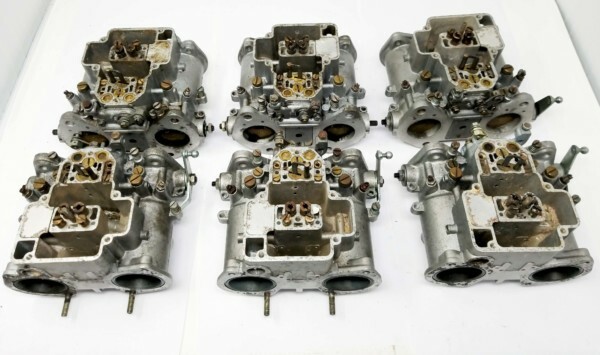 Suitable for their parts, or for restoration. I will ship worldwide with UPS, TNT or DPD/Chronopost.